A silver jewelry set is perfect to wear anytime. It can complete your outfit while giving it a sense of cohesiveness. 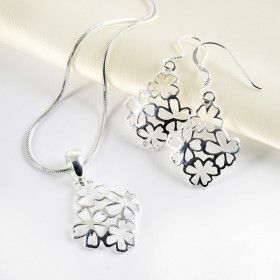 Get a set of silver jewelry today!